In October we received an email from Desco. 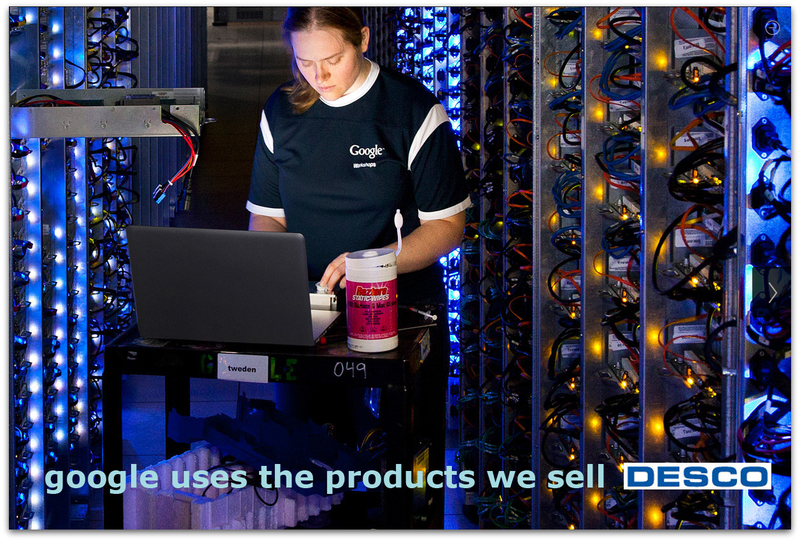 Desco, one of the manufacturers we distribute had informed us that Google opened it's data center doors most recently. When Google opened it's doors the massive company provided us with beautiful photographs on how the facilities look and operate. 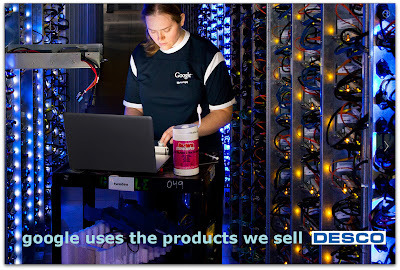 While clicking through images Desco found that Google just so happens to use Desco's Reztore Surface and Mat Cleaner. You can see the pink bottle provided from an image from Google. For more photographs like this one taken by Connie Zhou you can have a look here. Reztore is designed to remove solder flux, and normal debris (such as dust, dirt, and fingerprints) from surfaces. It contains no dyes or coloring agents, is non-flammable, non-toxic, and does not contain silicone or other substances that will leave an insulative residue on surfaces.